Q: Can we extend our Primary Select product range? 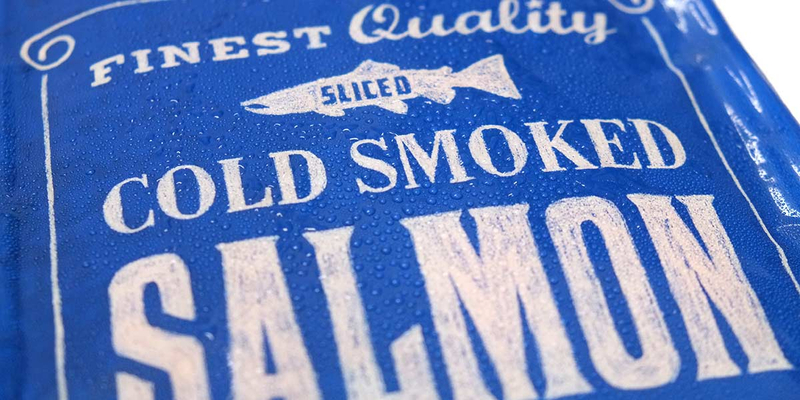 Angle: Finest quality cold smoked salmon. 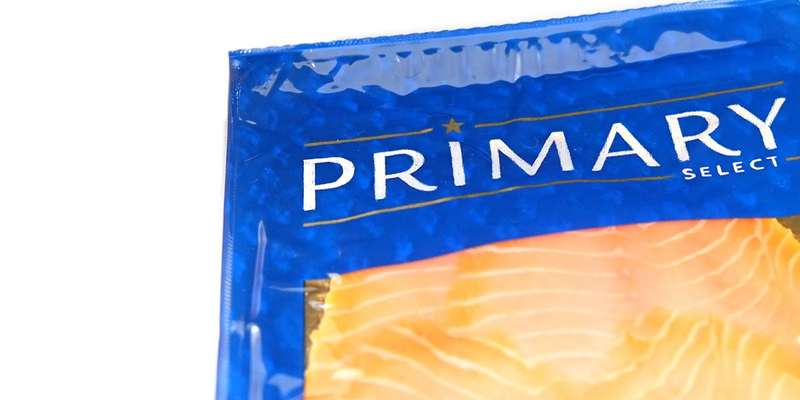 Primary Select is a retail brand belonging to Farmlands Mathias International, a large food trading company that specialise in meat, fish, seafood and other food products for wholesalers, retailers, processors and the food service industry globally. 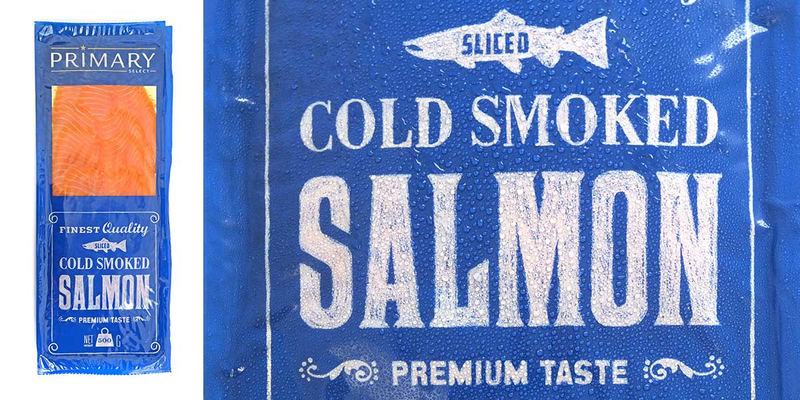 Farmlands briefed Angle to create new packaging design for their top quality cold smoked salmon, to help extend their range of Primary Select products, after the launch of their range of Primary Select frozen meat packaging. Three sizes of packs have been designed – 300g, 500g and a 1Kg. The Primary Select packaging theme draws inspiration from the ‘specials’ chalkboards seen at traditional produce retailers. Chalky-looking, hand crafted typography, borders and illustrations dominate the solid blue front of the packs. 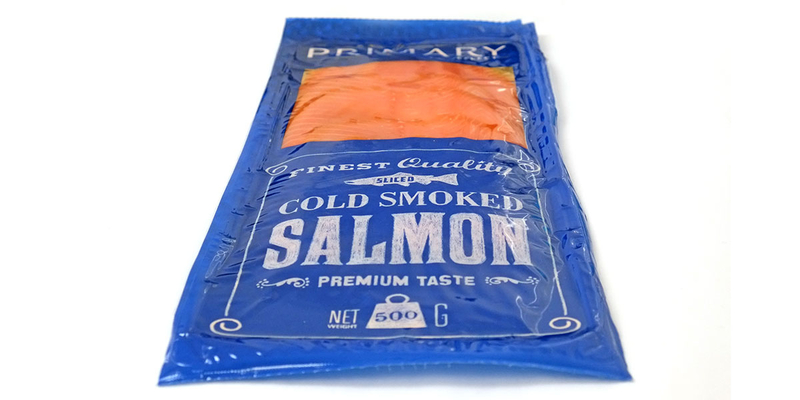 A large clear window displays the quality salmon product, all supported by foil-backed board. A successful and well attended trade event at Gilmours ‘Chef’s Kitchen’ demonstrated the superior quality of the salmon and launched this new-to-market product to potential buyers.